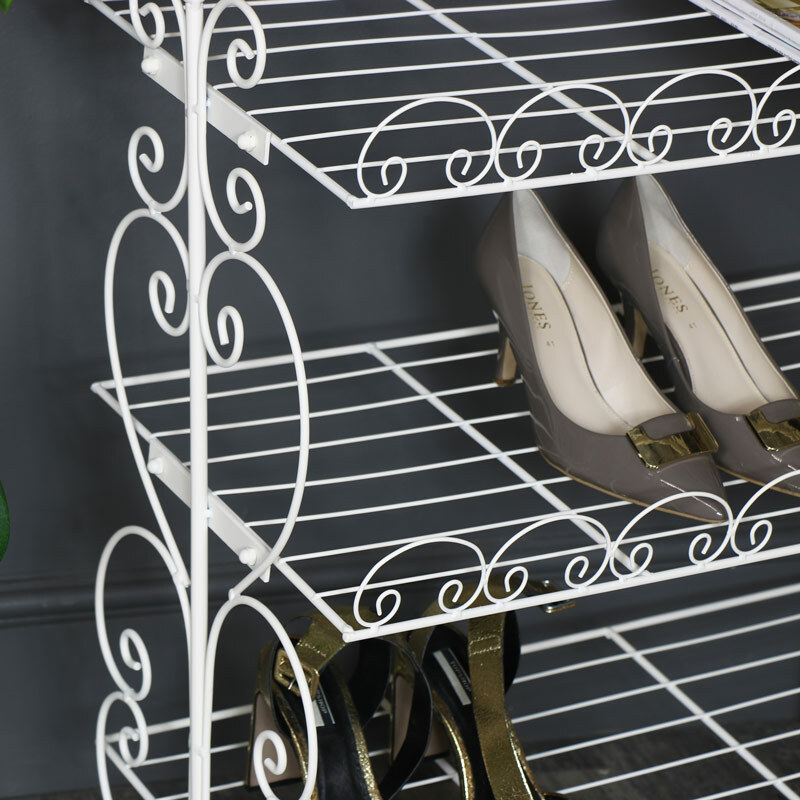 This Vintage White Metal Shoe Rack Storage Shelves are fantastic shabby chic style decor and storage for a hallway, entry way or bedroom space. Great space saving storage for helping to get you tidy and organised Practical and convenient with 3 shelves offering plenty of storage space. Painted in white with scrolled design on the sides and front to give a hint of French style. Stylish design that offers a great look for your home for placing in the hallway or bedroom and gives the perfect excuse to go shopping! Practical and convenient with 3 shelves offering plenty of storage space. Painted in white with scrolled design on the sides and front to give a hint of French style. Stylish design that offers a great look for your home for placing in the hallway or bedroom and gives the perfect excuse to go shopping! 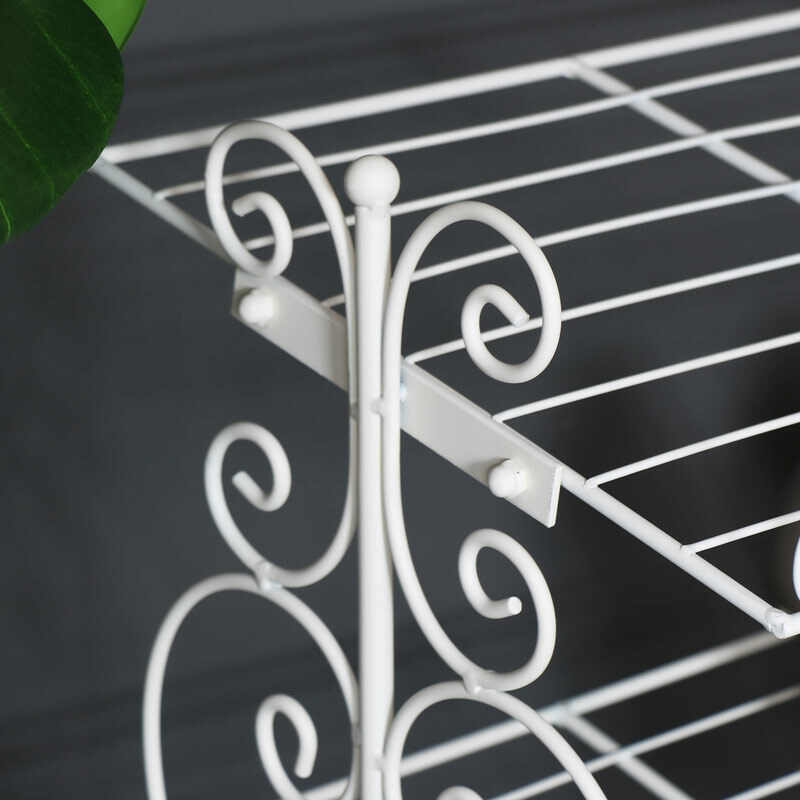 Constructed from metal and painted in white. The shoe rack comes flat pack with fittings included.